The biggest public health crisis facing the sport of American football may not be the use of anabolic steroids and performance-enhancing drugs after all. Many former National League Football players have experienced varying degrees of severe and permanent brain damage after playing American football professionally for several years. 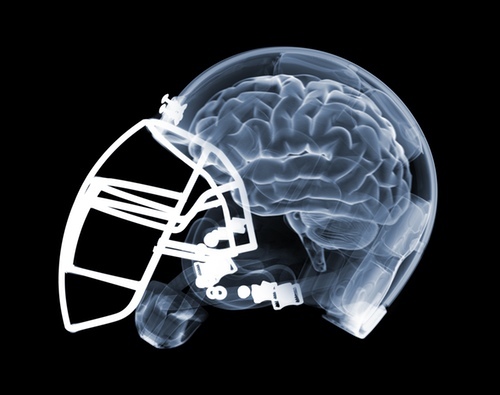 American football players are at high risk of experiencing repeated head trauma and concussions and other types of mild traumatic brain injury (MTBI). The role of such MTBI and the development of a progressive neurodegenerative disease called chronic traumatic encephalopathy (CTE) has been the subject of much investigation in the past decade. Given the increasing number of lawsuits by former NFL players who are suing the league for permanent brain damage they blame on the sport of football, it comes as no surprise that alternate theories have been proposed to suggest that the sport itself may not actually be at fault. One popular theory is that the use of anabolic steroids by athletes plays an important role in the progression of repeated head trauma to chronic traumatic encephalopathy (CTE). Such a theory suggests that anabolic steroids contribute to the abnormalities seen in CTE. The steroid-brain damage theory was recently debunked by a research group at West Virginia University. Dr. James Mills and his colleagues injected rats with steroids to test if the drugs had any impact on the effect of brain trauma in the research animals. Mills concluded that there was no evidence to suggest such a relationship. The results were published in the January issue of Neurosurgery, the official journal of the Congress of Neurological Surgeons. The NFL created a committe in 1994 to investigate the impact of repeated concussions in its players. The committee concluded, almost two decades later in 2003, that concussions cause “no long term negative health consequence” for football players. An increasing body of research has suggested otherwise. It turns out that the sport of football itself may actually be more dangerous than the use of steroids by its players.